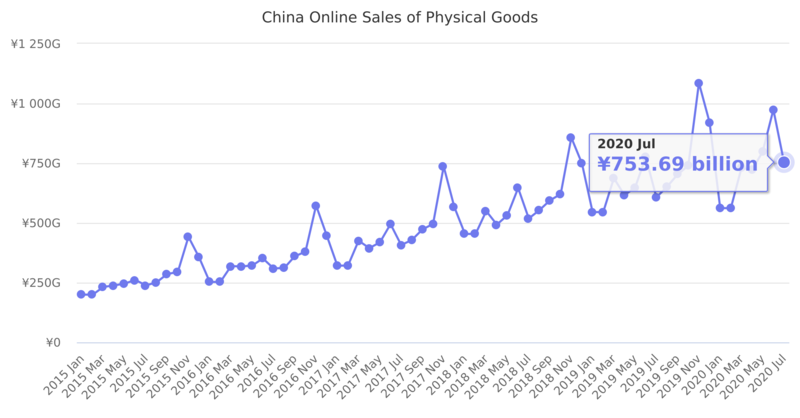 Doesn't include digital goods like music and video, China Online Sales of Goods and Services has total sales. From ¥4,194.40 billion in 2016 it increased by 31% to ¥5,480.60 billion in 2017. Source: China’s National Bureau of Statistics. Local currency used, not US$.